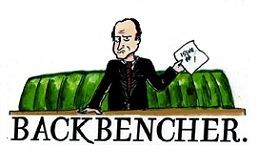 The Backbencher – Is the NHS in crisis? All examples of headlines from national papers in the last few months. If our media is to be believed, the NHS is spiralling hopelessly out of control, riddled with staff shortages and over-pressured A and E departments. Our National Health Service is on the brink of disaster, a crisis in full swing. Professor Baker took particular issue with the fact that the NHS has not grown in line with population growth, labelling for example, unacceptable conditions in A and E departments that see patients waiting for many hours on beds in corridors. Conditions in NHS trusts across the country are known to be stretched, resources are tight and funding is often limited. This report and the damning comments of Professor Baker pour further fuel onto the fire that the NHS truly is in crisis. Is this perilous state a reality? Or is it an overreaction fuelled by a hyperactive 24/7 modern media? In existence since 1948, the NHS offers every UK resident healthcare, accessible, and free at the point of use. When needed, the NHS provides both emergency and routine care to all UK citizens and residents. But is it really in crisis? Professor Baker’s comments are backed up by many statistics showing the strains on the service as well as the limitations. The number of hospital beds, for example, per 1000 people in the UK is 2.6, compared to 8.1 in Germany, 6.1 in France and 3.2 in Italy. 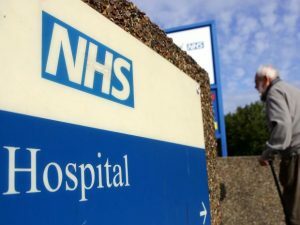 The 3.7million A and E visits for minor or insignificant problems cost the NHS an unnecessary £2billion per year, and some 57 million GP appointments made every year for trivial matters such as 5.2 million blocked noses, or 40 000 cases of dandruff, are a further drain of much needed funds. Framed by these statistics, the NHS looks to be in a worrisome place. And it may well be that it is. The beast that is the NHS is colossal. It is vast. Whilst countries such as the US (population 323.1 million) can sustain a centrally paid defence department of around 2.87 million employees (the biggest global employer) or India with its 1.324 billion citizens can likewise afford a huge railway staff (again above the NHS in global rankings) the 65.64 million UK citizens are struggling to pay for the c.1.7 million NHS employees, not to mention the cost of drugs, tests and equipment, as well as buildings and upkeep. Nationally every single NHS trust is struggling with a tight budget. It looks very much then like a system in crisis. But we must take stock. The reality is we have an incredibly expensive and ailing National Health Service, but we also have a unique resource that is available to every single UK resident. And what a service it is. The NHS is incredible value for money. The UK spent (in 2016) 9.75% of our GDP on health expenditure. This equates to around $4192 per capita, which, when compared to the USA at $9892 (17.21% of GDP) and $5551 (11.27% of GDP) in Germany, the NHS looks to be a significant saver in comparison. Often it is also a largely efficient service. Average inpatient stays in the UK are 7.0 days (2015 statistics), whereas in France and Germany it is 10.1 and 9.0 respectively. It is undeniable that the NHS has many many obstacles to overcome. The cost to the UK taxpayer of sustaining the service seems to be increasing by around £3 billion p.a. to around £127 billion by 2018. This is a vast bill, one that cannot be ignored. Both sides of the political spectrum have ideas about how to sustain this service, and how to keep it open and accessible for all UK residents. But what is just as important as this, is recognising the immense privilege we enjoy as recipients of the care of the NHS. The NHS carries out lifesaving diagnoses and treatments every single day. And yes, it is a fragile and error ridden service, as any other large public body realistically this. But it is also a unique privilege and right of UK residency. Other nations across the globe look enviously to the model and access of the NHS, and it has been rightly recognised as the number one care provider in the world by several studies, as well as the most impressive health service by the Commonwealth Fund in 2017. Providing life changing care to millions of people when they most need it is hardly a crisis. There are significant and costly situations affecting the NHS that need to be addressed and resolved, but crisis is unfair, to an institution that exists to care for those who need it in this country. The NHS is a unique privilege that the UK has created for itself and when we recognise that, we can perhaps be more creative in seeing how we can improve the wonderful service that our nurses, doctors and NHS employees provide us every single day. There are causes for concern, but crisis does a misjustice to the entire institution. 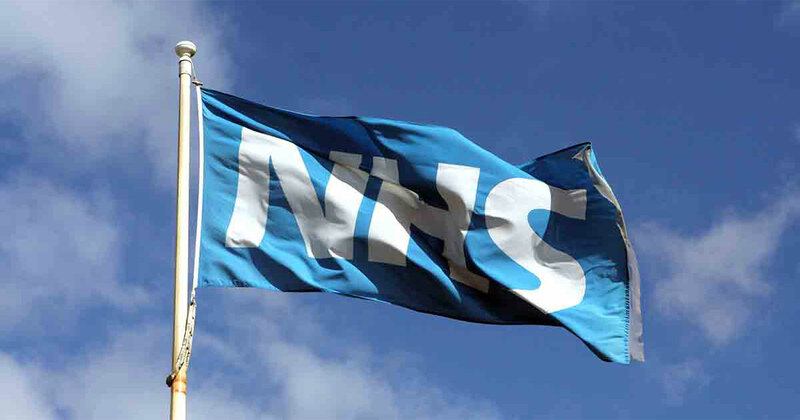 Both elected officials, NHS bosses, and the electorate themselves need to work creatively and effectively to ensure that the NHS remains a model health service, and crucially, remains free and accessible to those in need.